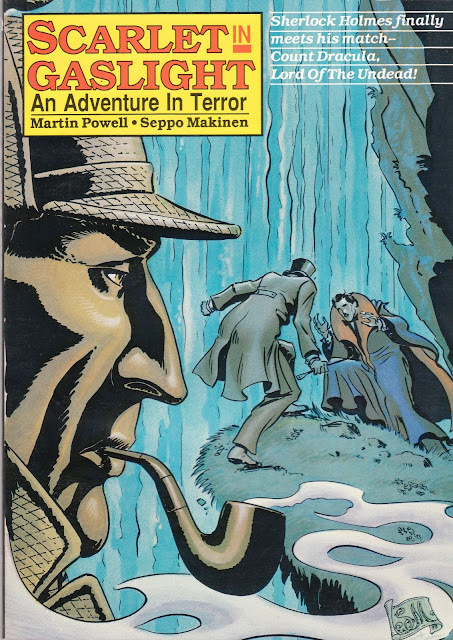 Collected edition of Martin Powell's 4-part comic book mini series featuring Sherlock Holmes and Dracula. Professor Moriarty has coerced Dracula into plunging London into terror. Holmes, with the assistance of Professor van Helsing, and his own Dr. Watson must turn to the famed actress Sarah Bernhardt to uncover the clues that will bring this supernatural case to a close. Author Martin Powell was recently interviewed on The Baker Street Babes Podcast #80.